The Manhattan Waterfront Greenway is the most scenic way to get around the city and take in all its most breathtaking sights. 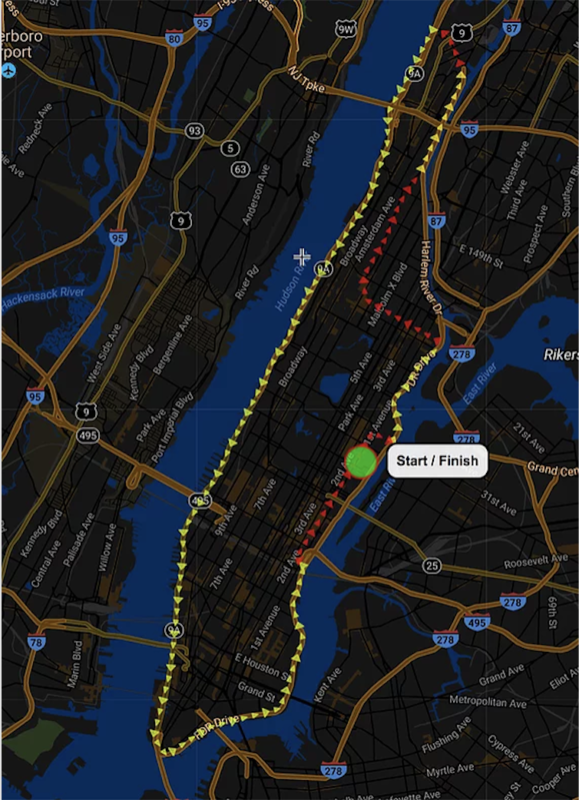 This greenway tour does a complete loop around the perimeter of Manhattan following the East and Hudson rivers. This is the most popular greenway/bike route for New Yorkers and tourists alike. See Manhattan in all its glory on this one-of-a-kind ride! The greenway gets crowded on the weekends during the summer months. On the East Side from 125st to 155st, the protected bike lane/greenway has not been constructed yet. The tour takes local streets with traditional bike lanes in this area.